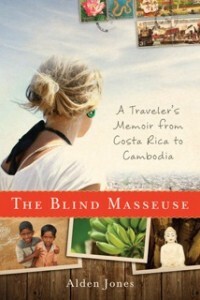 The Blind Masseuse: A Traveler’s Memoir from Costa Rica to Cambodia is both an eloquent memoir of the author’s journeys through Central America, Southeast Asia and Egypt and a thought-provoking exploration of the role travelers play as outsiders in cultures they inhabit temporarily. What, asks Jones, distinguishes between a traveler and a tourist? Is it acceptable to “consume” another culture as a means of entertainment? Especially if doing so helps support an oppressive government? Woven into a suspenseful narrative about the author’s own coming of age amid a defining wanderlust and a gender-neutral approach to romance, The Blind Masseuse gives an addictive, transporting look at the many aspects of life, civilization and travel that are neither black nor white. Alden Jones is an award-winning writer and faculty member at Emerson College’s department of Writing, Literature and Publishing. Since 1995 she’s combined teaching and writing with extensive travel to destinations such as Cuba and Costa Rica, where she lived for extended periods, and France, Italy, Japan, Cambodia, Burma and Egypt. 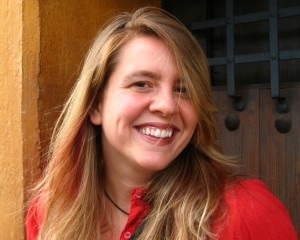 Her awards include the latest New American Fiction Prize for her forthcoming short story collection Unaccompanied Minors. Her short stories and travel essays have appeared in numerous publications including The Iowa Review, Prairie Schooner and The Best American Travel Writing. Whenever I read travel memoirs, it’s with mixed feelings. Part of me is excited to live vicariously through the author’s experience. Another part of me is envious of that experience. Reading The Blind Masseuse, both of those parts were actively engaged. Alden Jones writes a vivid story. You could feel the heat, and taste the lard, in Costa Rica, feel the motion of a cruise ship full of students, and taste the cold Coke in Nicaragua (not necessarily in that order). Likewise, her personal journey from blissful single life toward a more committed one, and eventual marriage, were written with candor and enough detail for the reader to feel like Alden was a good friend, without that story competing with the travelogue. At one point in The Blind Masseuse Jones mentions that it was Spaulding Gray’s monologue Swimming to Cambodia that sparked her interest in Cambodia in the first place. I, too, am a big fan of that monologue, and Gray’s search for the perfect moment. (To this day, I have his line, “He won’t drown; he’s from South Africa!” in my head whenever I hear about water accidents.) That commonality really helped me connect to the author, and to her story. I also really responded to the author’s distinction between travelers and tourists. As someone who began as a tourist and would like to be a traveler, I really appreciated the nuances she demonstrated, though I had to chuckle when she found herself in a decidedly “touristy” role. If you want a travel memoir that just tells you where to go and what to see, this book is probably not for you. If, on the other hand, you want to feel as if you’re traveling with Alden Jones, you will love The Blind Masseuse. Goes well with An ice cold coke and a bean and cheese burrito.